CPO, M SPORT, DRIVERS ASSISTANCE PLUS!! !Clean CARFAX. Glacier Silver Metallic 2014 BMW 5 Series 550i RWD 8-Speed Automatic Sport 4.4L V8 DOHC 32V Ivory White w/Black Dashboard w/Nappa Leather Upholstery, 19 x 8.5 Fr & 19 x 9.0 Rr (Style 351M) Wheels, Active Blind Spot Detection, Active Driving Assistant, Active Front Seats, Aerodynamic Kit, Aluminum Hexagon Interior Trim, Anthracite Headliner, Anthracite Wood Trim, Ceramic Controls, Comfort Access Keyless Entry, Driver Assistance Plus, Executive Package, Front Ventilated Seats, Harman Kardon Surround Sound System, Head-Up Display, Heated Front Seats, Increased Top Speed Limiter, Instrument Cluster w/Extended Contents, LED Fog Lights, Luxury Seating Package, M Sport, M Sport Package, M Sport Suspension, M Steering Wheel, Satellite Radio, Shadowline Exterior Trim, Side & Top View Cameras, Soft-Close Automatic Doors, Speed Limit Info, Without Lines Designation Outside.Odometer is 10414 miles below market average!Reviews:* If you like your luxury, performance and technology delved out in equal parts, the 2014 BMW 5 Series won't disappoint. Contrary to popular belief, the manual transmission is not dead and its presence in the 535i and M5 is another reason true enthusiasts flock to this car. Source: KBB.com* Wide variety of powertrain options; elegant interior is well built and packed with high-tech features; supportive front seats; spacious backseat; 535d's outstanding fuel economy. Source: Edmunds* The 2014 BMW 5 series continues to be tailor-made to the tastes of the driver with multiple options of Sedan or Gran Turismo, but those enhancements just got better. The exterior has been modernized with subtle, yet profile-enhancing, changes to the nose and tail. There are also contour lines around the grille and reshaped air intakes. All models now have adaptive xenon headlamps with LED alternatives available, and new thin-line taillamps are a nice addition for 2014. 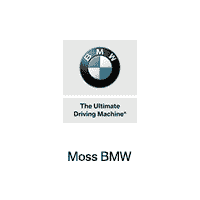 BMW has expanded both the standard and optional equipment including engine upgrades. The Gran Turismo specifically has received front fascia recasting and an extended liftgate that increases cargo capacity by 2.1-cubic feet. The luxurious outside look has been translated into the comfortable interior of the 5 series as well. Three upgraded trim configurations for 2014 include the Luxury Line, Modern Line, and the M Sport. Other available features are ActiveHybrid or xDrive for AWD. BMW Assist can offer a driver an emergency switchboard, navigation system, and information service all in one on an integrated 10.2-inch screen. The lowest model starts with ten speakers and options are available for many more sound packages. Existing upgrades for the tech enthusiast are iPad holders and snap-in adapters for Apple products and Blackberry make working from the car a breeze. In addition, rear view, side and top view cameras are all options for safety. Standard safety features include airbags, safety belt reminders, anti-theft alarm system, and an interlocking door anchoring system. Source: The Manufacturer Summary - **Vehicle Options listed are when the unit was originally built. Please confirm the accuracy of the included equipment by calling the dealer prior to purchase. CARFAX One-Owner. Clean CARFAX. Certified. Imperial Blue Metallic 2016 BMW X5 xDrive35i AWD 8-Speed Automatic 3.0L I6 DOHC 24V TwinPower Turbo Mocha w/Dakota Leather Upholstery, 4-Zone Automatic Climate Control, Cold Weather Package, Comfort Access Keyless Entry, Dakota Leather Upholstery, Driver Assistance Package, Head-Up Display, Heated Rear Seats, Heated Steering Wheel, High-Intensity Retractable Headlight Washers, Navigation System, Premium Package, Rear-view Camera, Satellite Radio w/1 Year Subscription, Wheels: 19 V-Spoke Light Alloy (Style 450).Odometer is 2472 miles below market average!BMW Details:* Warranty Deductible: $0* Vehicle History* 1 year/Unlimited miles beginning after new car warranty expires. * Roadside Assistance* Transferable Warranty* Multipoint Point InspectionAwards:* JD Power Initial Quality Study (IQS)Reviews:* Potent and efficient engines; luxurious and comfortable interior; huge list of features; steadfast high-speed stability. Source: Edmunds* Powerful and fuel-efficient engines; engaging handling; upscale interior; hatchback-style utility. Source: Edmunds* Exceptionally powerful engine; slick automated manual transmission; richly trimmed and well-equipped interior; impressively supportive and comfortable front seats. Source: Edmunds - **Vehicle Options listed are when the unit was originally built. Please confirm the accuracy of the included equipment by calling the dealer prior to purchase. - **Vehicle Options listed are when the unit was originally built. Please confirm the accuracy of the included equipment by calling the dealer prior to purchase. - **Vehicle Options listed are when the unit was originally built. Please confirm the accuracy of the included equipment by calling the dealer prior to purchase. - **Vehicle Options listed are when the unit was originally built. Please confirm the accuracy of the included equipment by calling the dealer prior to purchase. - **Vehicle Options listed are when the unit was originally built. Please confirm the accuracy of the included equipment by calling the dealer prior to purchase. - **Vehicle Options listed are when the unit was originally built. Please confirm the accuracy of the included equipment by calling the dealer prior to purchase. - **Vehicle Options listed are when the unit was originally built. Please confirm the accuracy of the included equipment by calling the dealer prior to purchase. - **Vehicle Options listed are when the unit was originally built. Please confirm the accuracy of the included equipment by calling the dealer prior to purchase. - **Vehicle Options listed are when the unit was originally built. Please confirm the accuracy of the included equipment by calling the dealer prior to purchase. - **Vehicle Options listed are when the unit was originally built. Please confirm the accuracy of the included equipment by calling the dealer prior to purchase. - **Vehicle Options listed are when the unit was originally built. Please confirm the accuracy of the included equipment by calling the dealer prior to purchase. - **Vehicle Options listed are when the unit was originally built. Please confirm the accuracy of the included equipment by calling the dealer prior to purchase. - **Vehicle Options listed are when the unit was originally built. Please confirm the accuracy of the included equipment by calling the dealer prior to purchase. - **Vehicle Options listed are when the unit was originally built. Please confirm the accuracy of the included equipment by calling the dealer prior to purchase. - **Vehicle Options listed are when the unit was originally built. Please confirm the accuracy of the included equipment by calling the dealer prior to purchase. - **Vehicle Options listed are when the unit was originally built. Please confirm the accuracy of the included equipment by calling the dealer prior to purchase. - **Vehicle Options listed are when the unit was originally built. Please confirm the accuracy of the included equipment by calling the dealer prior to purchase. - **Vehicle Options listed are when the unit was originally built. Please confirm the accuracy of the included equipment by calling the dealer prior to purchase. M SPORT PACKAGE!! !CARFAX One-Owner. Clean CARFAX. Certified. Glacier Silver Metallic 2017 BMW X5 xDrive50i AWD 8-Speed Automatic 4.4L V8 DOHC 32V Twin Turbocharged Black w/Dakota Leather Upholstery, Adaptive Full LED Lights, Aerodynamic Kit, Apple CarPlay Compatibility, Automatic High Beams, Ceramic Controls, Executive Package, Front Ventilated Seats, Head-Up Display, High-Gloss Roof Rails, Increased Top Speed Limiter, Leather Dashboard, Lighting Package, M Sport Package, M Sport Package (337), M Steering Wheel, Poplar Wood Trim, Rear Manual Side Window Shades, Shadowline Exterior Trim, Soft-Close Automatic Doors, Standard Suspension, Surround View, Wheels: 20 x 10 Fr & 20 x 11 Rr (Style 469M), WiFi Hotspot, Wireless Charging, Without Lines Designation Outside.BMW Certified Pre-Owned Details:* Roadside Assistance* 1 year/Unlimited miles beginning after new car warranty expires. * Warranty Deductible: $0* Vehicle History* Transferable Warranty* Multipoint Point InspectionReviews:* Strong performance from every model; luxurious and comfortable cabin that lives up to its price tag; optional diesel engine is as potent as it is efficient; a long list of optional features allows for a wide range of customization. Source: Edmunds* Scintillating power and acceleration from the turbocharged V8 engine; all-wheel drive provides sure-footed stability; supreme cornering grip doesn't come at the expense of ride comfort; lavishly trimmed and equipped interior; more exclusive than BMW M models. Source: Edmunds* Both the six-and eight-cylinder engines are powerful and refined; front and rear seats are spacious and comfortable; interior is well-built with top-notch materials; dual-mode liftgate improves cargo-carrying flexibility Source: Edmunds - **Vehicle Options listed are when the unit was originally built. Please confirm the accuracy of the included equipment by calling the dealer prior to purchase. White 2019 BMW X3 xDrive30i AWD 8-Speed Automatic 2.0L I4 TwinPower Turbo 8-Speed Automatic, Active Blind Spot Detection, Active Driving Assistant, Advanced Real-Time Traffic Information, Apple CarPlay Compatibility, Automatic temperature control, Brake assist, Convenience Package, Delay-off headlights, Driving Assistance Package, DVD Area Coding (North America), Electronic Stability Control, Enhanced USB & Bluetooth, Exterior Parking Camera Rear, Four wheel independent suspension, Front dual zone A/C, Front fog lights, Head-Up Display, Heated Front Seats, Heated Steering Wheel, Illuminated entry, LED Headlights w/Cornering Lights, Lumbar Support, Navigation System, Panic alarm, Panoramic Moonroof, Power Liftgate, Premium Package, Radio Control US, Rain sensing wipers, Rear air conditioning, Remote keyless entry, Remote Services, Security system, SiriusXM Satellite Radio, Speed control, Speed-sensing steering, Spoiler, Trailer Hitch, Wheels: 19 x 7.5 (Style 692), WiFi Hotspot, Wireless Charging.22/29 City/Highway MPG - **Vehicle Options listed are when the unit was originally built. Please confirm the accuracy of the included equipment by calling the dealer prior to purchase. - **Vehicle Options listed are when the unit was originally built. Please confirm the accuracy of the included equipment by calling the dealer prior to purchase. - **Vehicle Options listed are when the unit was originally built. Please confirm the accuracy of the included equipment by calling the dealer prior to purchase. - **Vehicle Options listed are when the unit was originally built. Please confirm the accuracy of the included equipment by calling the dealer prior to purchase. - **Vehicle Options listed are when the unit was originally built. Please confirm the accuracy of the included equipment by calling the dealer prior to purchase. - **Vehicle Options listed are when the unit was originally built. Please confirm the accuracy of the included equipment by calling the dealer prior to purchase. - **Vehicle Options listed are when the unit was originally built. Please confirm the accuracy of the included equipment by calling the dealer prior to purchase. - **Vehicle Options listed are when the unit was originally built. Please confirm the accuracy of the included equipment by calling the dealer prior to purchase. - **Vehicle Options listed are when the unit was originally built. Please confirm the accuracy of the included equipment by calling the dealer prior to purchase. - **Vehicle Options listed are when the unit was originally built. Please confirm the accuracy of the included equipment by calling the dealer prior to purchase. - **Vehicle Options listed are when the unit was originally built. Please confirm the accuracy of the included equipment by calling the dealer prior to purchase. - **Vehicle Options listed are when the unit was originally built. Please confirm the accuracy of the included equipment by calling the dealer prior to purchase. - **Vehicle Options listed are when the unit was originally built. Please confirm the accuracy of the included equipment by calling the dealer prior to purchase. - **Vehicle Options listed are when the unit was originally built. Please confirm the accuracy of the included equipment by calling the dealer prior to purchase. - **Vehicle Options listed are when the unit was originally built. Please confirm the accuracy of the included equipment by calling the dealer prior to purchase. - **Vehicle Options listed are when the unit was originally built. Please confirm the accuracy of the included equipment by calling the dealer prior to purchase. - **Vehicle Options listed are when the unit was originally built. Please confirm the accuracy of the included equipment by calling the dealer prior to purchase. - **Vehicle Options listed are when the unit was originally built. Please confirm the accuracy of the included equipment by calling the dealer prior to purchase. The 2019 BMW 5 Series is stylish and sophisticated. The 5 Series is built for demanding drivers. With intuitive controls, advanced technology, and a comfortable cabin, it doesn ? ?t just satisfy a driver ? ?s desires ?? it exceeds all expectations. This sedan features technology that ? ?s easy to use and keeps you connected. Intelligent Voice Control understands natural speech patterns to fulfill any command, and optional Gesture Control uses simple hand motions to control navigation, communication and entertainment. With the powerful lines of its exterior and the chest-gripping thrill of acceleration, plus opulent options for passenger comfort, like the available rear-seat entertainment professional system, heated rear seats, and premium surround sound systems, this sedan is worth every minute. Turbocharge your drive with a 4.4-liter 8-cylinder TwinPower Turbo engine delivering 456hp, 8-speed STEPTRONIC Sport transmission, and a standard xDrive All-Wheel Drive system. You ? ?re looking at a 5 Series that can run from 0-60 mph in just 3.9 seconds. The 5 Series offers a range of convenient features for staying connected on the road, including navigation, intuitive display interface, wireless charging and a Wi-Fi hotspot, remote 3D view and gesture control. - **Vehicle Options listed are when the unit was originally built. Please confirm the accuracy of the included equipment by calling the dealer prior to purchase. - **Vehicle Options listed are when the unit was originally built. Please confirm the accuracy of the included equipment by calling the dealer prior to purchase. - **Vehicle Options listed are when the unit was originally built. Please confirm the accuracy of the included equipment by calling the dealer prior to purchase. - **Vehicle Options listed are when the unit was originally built. Please confirm the accuracy of the included equipment by calling the dealer prior to purchase. - **Vehicle Options listed are when the unit was originally built. Please confirm the accuracy of the included equipment by calling the dealer prior to purchase. - **Vehicle Options listed are when the unit was originally built. Please confirm the accuracy of the included equipment by calling the dealer prior to purchase. - **Vehicle Options listed are when the unit was originally built. Please confirm the accuracy of the included equipment by calling the dealer prior to purchase. - **Vehicle Options listed are when the unit was originally built. Please confirm the accuracy of the included equipment by calling the dealer prior to purchase. - **Vehicle Options listed are when the unit was originally built. Please confirm the accuracy of the included equipment by calling the dealer prior to purchase. - **Vehicle Options listed are when the unit was originally built. Please confirm the accuracy of the included equipment by calling the dealer prior to purchase. - **Vehicle Options listed are when the unit was originally built. Please confirm the accuracy of the included equipment by calling the dealer prior to purchase. - **Vehicle Options listed are when the unit was originally built. Please confirm the accuracy of the included equipment by calling the dealer prior to purchase. - **Vehicle Options listed are when the unit was originally built. Please confirm the accuracy of the included equipment by calling the dealer prior to purchase. - **Vehicle Options listed are when the unit was originally built. Please confirm the accuracy of the included equipment by calling the dealer prior to purchase. - **Vehicle Options listed are when the unit was originally built. Please confirm the accuracy of the included equipment by calling the dealer prior to purchase. The 2019 BMW 7 Series is life at the apex. From the purr of an inline-6 to the powerful roar of the M Performance-tuned V-12, TwinPower Turbo technology gives the 7 Series its voice. Advanced automotive technology allows the 7 Series to automatically adjust to driving preferences, road conditions, and even navigation so it handles perfectly under any conditions. Automatically regulate the airstream for maximum performance and efficiency. Ingenious flaps swing open and closed behind the grille bars, allowing cooling air to reach the engine when needed. Inside, the panoramic sky lounge is the perfect complement to the captivating lighting experience, while deluxe options like heated armrests, massaging seats and the rear-seat entertainment professional system makes your ride a relaxing one. The 7 Series offers a range of convenient features for staying connected on the road, including a premium surround sound audio system, touch command for every action from lights to the air and gesture control. The last word in luxury is the 2019 BMW 7 Series. - **Vehicle Options listed are when the unit was originally built. Please confirm the accuracy of the included equipment by calling the dealer prior to purchase. - **Vehicle Options listed are when the unit was originally built. Please confirm the accuracy of the included equipment by calling the dealer prior to purchase. - **Vehicle Options listed are when the unit was originally built. Please confirm the accuracy of the included equipment by calling the dealer prior to purchase. - **Vehicle Options listed are when the unit was originally built. Please confirm the accuracy of the included equipment by calling the dealer prior to purchase. - **Vehicle Options listed are when the unit was originally built. Please confirm the accuracy of the included equipment by calling the dealer prior to purchase. - **Vehicle Options listed are when the unit was originally built. Please confirm the accuracy of the included equipment by calling the dealer prior to purchase. - **Vehicle Options listed are when the unit was originally built. Please confirm the accuracy of the included equipment by calling the dealer prior to purchase. - **Vehicle Options listed are when the unit was originally built. Please confirm the accuracy of the included equipment by calling the dealer prior to purchase. - **Vehicle Options listed are when the unit was originally built. Please confirm the accuracy of the included equipment by calling the dealer prior to purchase. - **Vehicle Options listed are when the unit was originally built. Please confirm the accuracy of the included equipment by calling the dealer prior to purchase. - **Vehicle Options listed are when the unit was originally built. Please confirm the accuracy of the included equipment by calling the dealer prior to purchase. - **Vehicle Options listed are when the unit was originally built. Please confirm the accuracy of the included equipment by calling the dealer prior to purchase. - **Vehicle Options listed are when the unit was originally built. Please confirm the accuracy of the included equipment by calling the dealer prior to purchase. - **Vehicle Options listed are when the unit was originally built. Please confirm the accuracy of the included equipment by calling the dealer prior to purchase. - **Vehicle Options listed are when the unit was originally built. Please confirm the accuracy of the included equipment by calling the dealer prior to purchase.